Chocolate chip cookies, the old classic. So many have childhood memories of coming home from school with the smell of these freshly baked delights wafting through the air. 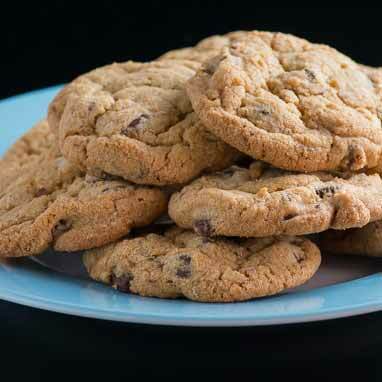 This recipe for gourmet chocolate chip cookies keeps the tradition alive. While the mix of bread and cake flours and the addition of brown sugar make for a complex mix of taste and texture, it's the long refrigeration time that allows all these ingredients to mingle and push the flavor over the top.